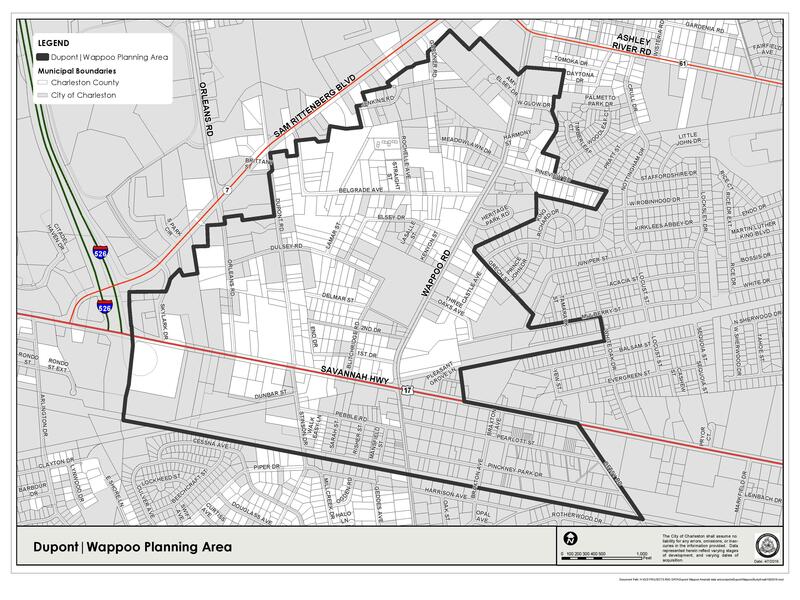 On January 27, 2016, the City of Charleston and Charleston County are co-hosted a Dupont | Wappoo Area a follow-up community meeting to present a proposed new zoning overlay district for the Dupont | Wappoo Area to address land use, zoning, and design needs identified at public workshops held in 2015; give updates regarding traffic and transportation, drainage and stormwater, economic development, revitalization, and other community elements; discuss next steps; and gather additional feedback from the public. In June 2015, community members were invited to attend a planning workshop that focused on the area in the vicinity of Dupont Road, Wappoo Road and Savannah Highway. Planners, designers and consultants on the charrette team asked community members to provide input on land use, multi-modal transportation improvements, drainage, development and design standards, etc.